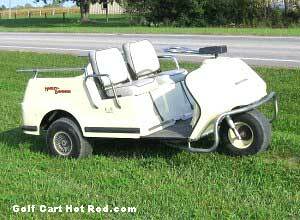 This video will show you how to adjust the valves on a E-Z-Go TXT gas golf cart. Adjusting the valves on an EZGo cart is an easy job for most people with just a little mechanical skill. Changing the plugs, testing engine compression, and valve adjustment can be done in an hour of work. Please thank tuber’Kevin’s Golf Carts’ for the great video and screen grab. The work below was done on a mid-1990’s EZGO TXT that was suffering from power loss. 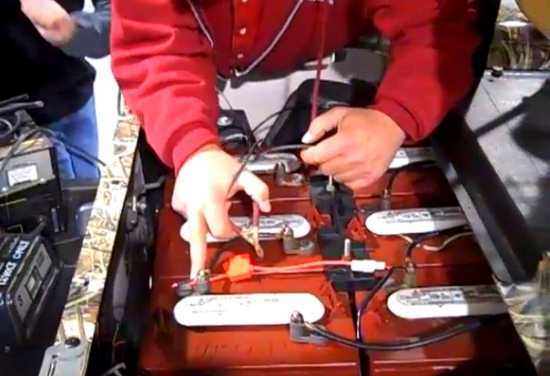 In the video he adjusted the valves and replaced the spark plugs. The repairman wanted to draw atention that he used the feeler gauge between the valve and rocker. Adjusting EZGO valves can be done this way but you should measure between the rocker and camshaft for more precise accuracy. EZGO manual states a .004″ spacing gap but in severe-duty use, he used .006″ with no issues. The plugs needed can be found here. A compression tool can be found here.